We have developed a "gumsense" board which has a microcontroller, powerful ARM (Gumstix), sensor inputs, digital I/O, rtc, power control. The aim is to make a powerful sensor network node which can use little power in sleep mode. You call it a powerful low power platform! here you can see the first prototype. 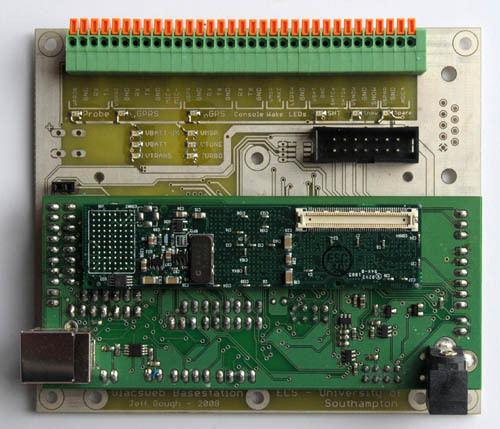 The gumstix sits on top and there are a lot of headers for accessing the I/O and providing switchable power. The back of the board has most of the components. The PIC provides A/D together with some adjustable external amplifiers, also digital I/O. Commands sent to the PIC via the I2C bus control the power to external units and fetch readings etc. 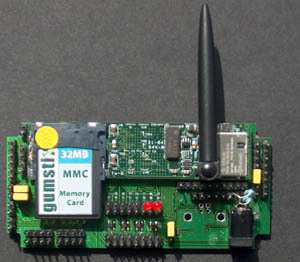 Here the top view shows the same principle with the gumstix and break-out pins for GPIO/ADC/etc. The bottom view shows the tunable amplifiers, backup batteryand MSP430. 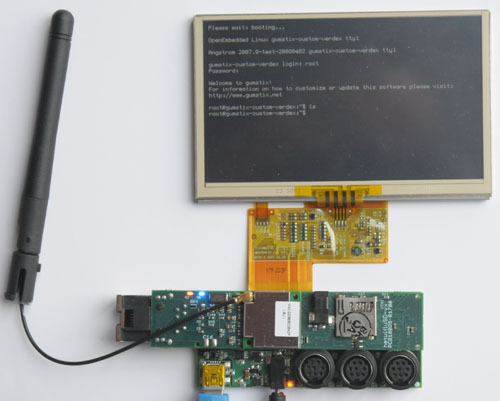 This version has host usb and can power-down the gumstix completely - only using 6 microamps in sleep. The idea is that the microcontroller runs data sampling but boots the ARM when a communications/control period is scheduled. As the ARM runs Linux it can run control scripts in Python, tcp/ip networking etc. 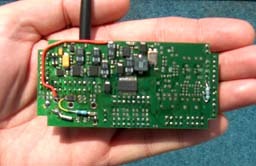 This shows a prototype from summer08 boxed to allow space for a battery, test temp/hum and multicolour LED. This is the configuration deployed on the glacier in Iceland - an extra I/O board plugs in underneath the gumsense and provides easy push-in I/O, programming header, and debug LEDs. 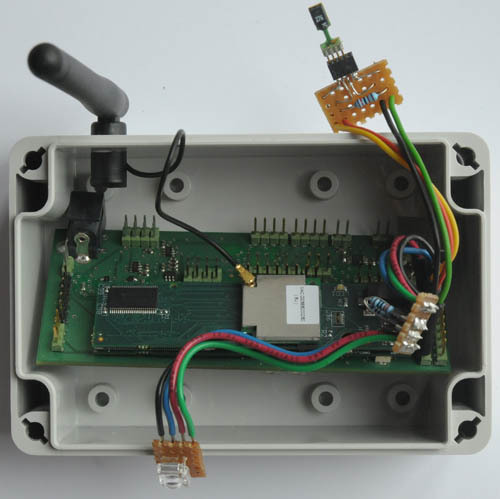 This uses a GPRS modem, drives a dGPS and runs from batteries with solar/wind power.